I've been talking fairly often over the past year about my efforts to be health conscious in the everyday. 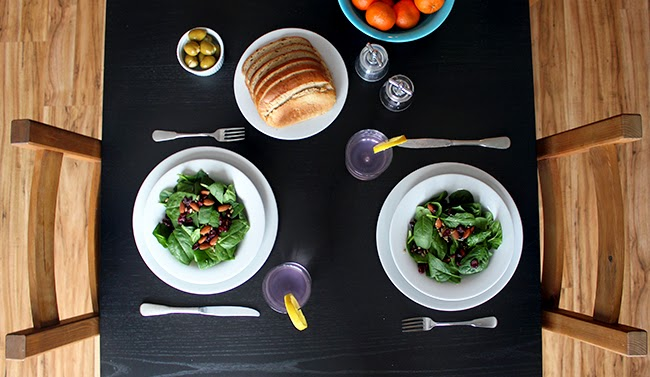 My regular readers know that I've been consistent about eating well (most of the time, anyway) for many years, but that lately, I've also established a routine that incorporates things like regular exercise and intentional time for relaxation/mental clarity. There is one (very important) aspect of leading a healthy lifestyle, however, where I recently realized that I needed some major improvement - staying hydrated. Hydration has actually become quite a big deal in my house. In addition to keeping myself well hydrated, I also have to do the same for a toddler. And my husband also came to the conclusion that he could use a hydration boost beyond just the water he slams after a run. Although staying properly hydrated seems like one of the easiest parts of staying healthy, it's one area where my family has lacked motivation - and I think this holds true for a lot of us. I can't tell you guys how many times I've made goals for myself to drink a certain number of glasses of water a day, and ended up getting too busy or simply forgetting. I've also tried just about every method for coercing my little one to drink more water, including all sorts of fun and fancy cups, with little success. (She is not a huge fan of plain water, but her mommy isn't willing to give her sugar-filled drinks). Like me, my husband also gets busy or distracted and just forgets. We also tend to pay more attention to staying hydrated in the summer when we're sweating and the loss of fluids is more obvious. But in truth, it's just as easy to become dehydrated in the winter, when the air is dry and water-zapping illnesses tend to hit. Since our regular attempts to drink more water as a family seemed to result in consistent failure, I decided to change things up a bit. 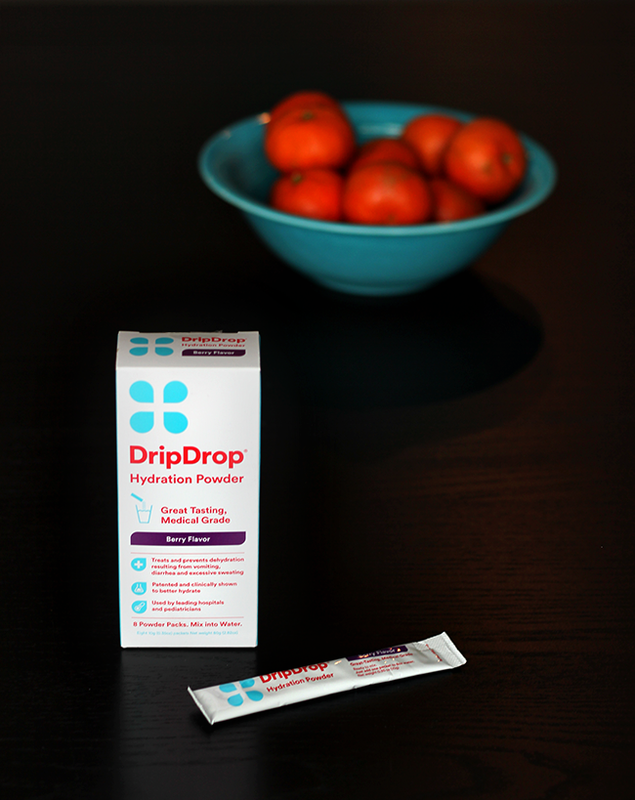 About a month ago, I learned about a product called DripDrop, an ORS (oral rehydration solution; a treatment that is used by the World Health Organization and UNICEF throughout the world), that prevents dehydration in a natural way, without the calories or artificial extras of sport drinks - and with 2-3 times the electrolytes. The things that appealed most to me was that it contains no artificial flavors, colors, or preservatives, and that it's a safe, medical grade solution that everyone can use - from babies over 1 to seniors. So I decided that instead of trying to force water down our throats on the regular, which clearly wasn't working, we'd try drinking DripDrop with our meals. I went to CVS, picked up a box of the Berry Flavor, and crossed my fingers. It turns out, we all love DripDrop. 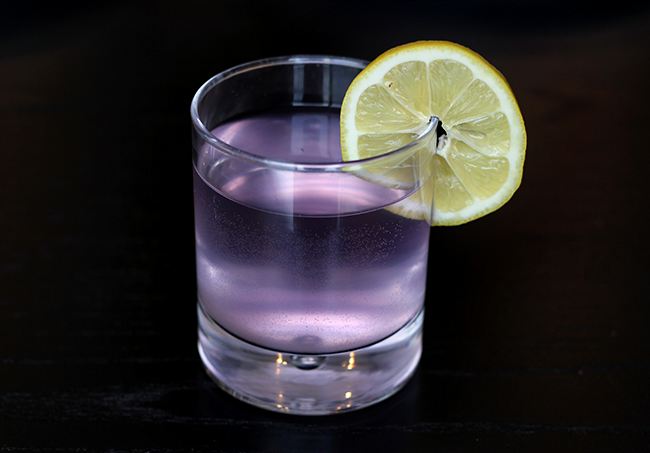 It adds a subtle flavor to your water - just enough to perk it up without overpowering it. 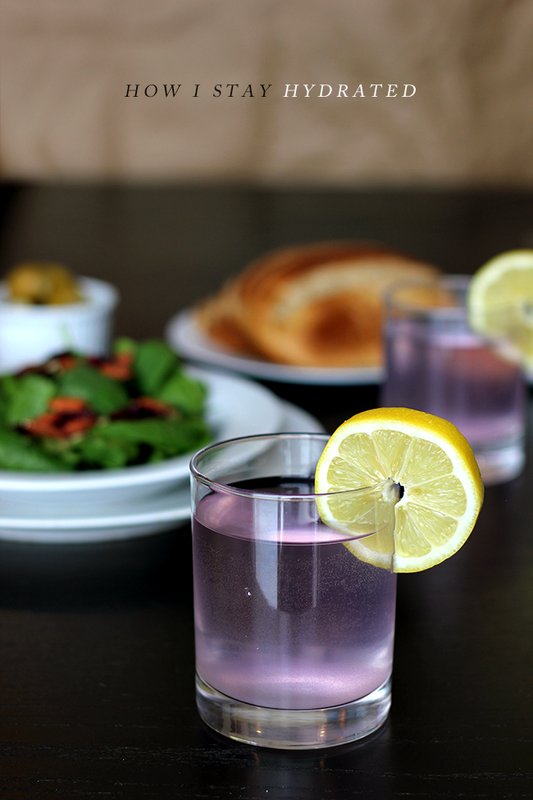 And adding it as our beverage of choice with our meals has been key, for all us of. 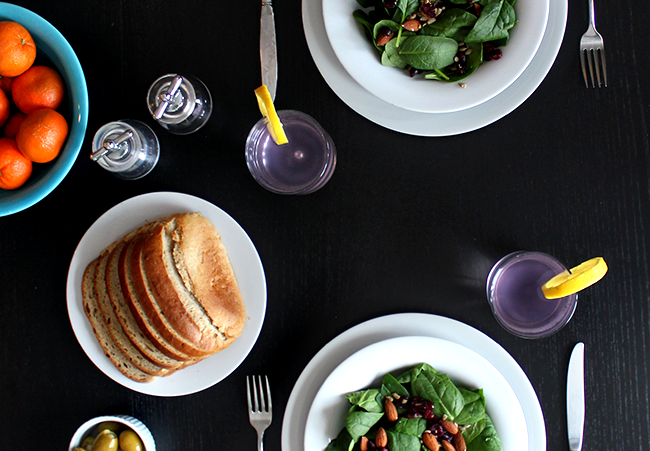 It feels a little like we're drinking something fancy with our meals rather than the plain old water we were used to, so it's more fun than a chore. We've even started to incorporate it into our daily routines away from just meals. It's a great way to naturally increase our energy by preventing the fatigue that comes with dehydration, so we're no longer making pots of coffee in the late afternoon just to stay awake. And of course, it's great after a workout. My daughter loves it too, which makes me the happiest of all. It has become our hydration solution, and an important part of our quest to stay healthy in the everyday. 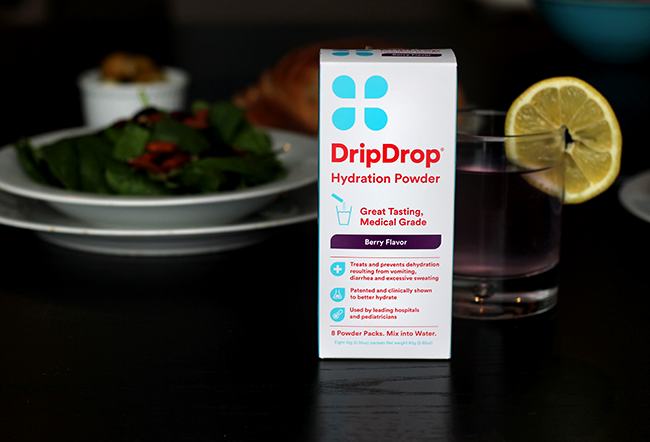 If you're in need of a hydration boost as well, and you're interested in trying out DripDrop Hydration Powder for yourself, here is a digital coupon for $1.00 off the purchase of any one (1) box (available through 2/21/15, while supplies last). Just head over to your local CVS and pick up your box in the baby aisle. Who else tends to put staying hydrated at the bottom of your list, unintentionally or otherwise? Have any of you tried DripDrop? Hydration is definitely something that falls off my radar unintentionally. Although I always have tea next to me while I work, the number of times that I look at it to find the cup still half full but freezing cold is just embarrassing. It's something I've definitely been working on, but it also seems like one of the most challenging parts of health to improve somehow. Thanks for the tip. I've also started exercising more and it's been hard to remember how much more water, and especially electrolytes, we require after sweating even a little. I tend to either chug tons of water or neglect water in one day. It's a challenge for everyone in this apartment to drink enough because we're always eating and trying not to mix water with food in our bellies (rinses away nutrients, waters down digestive juices). Another tip, you probably already know this as an ample fiber eater, but I didn't know it until late last year. 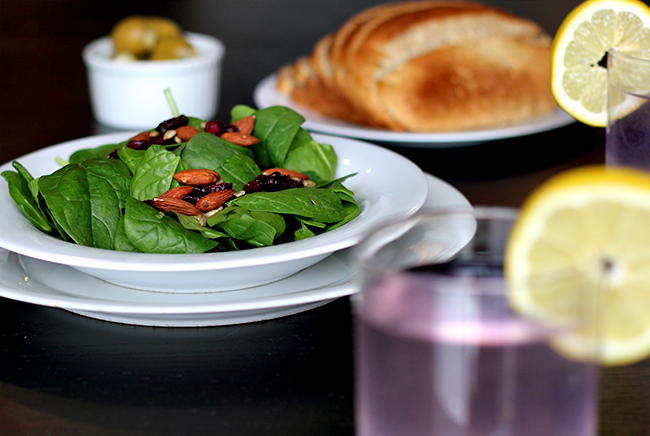 You need extra water if you eat lots of fiber because that, too, dries you out. It's crazy how much water we need for different functions. I will have to give this a try to see if it helps, I was literally just looking for an all-natural electrolyte solution. I try to keep Crystal Lite on hand and notice that if I have a pitcher in the fridge, that I drink more water during the day. But I like how this stuff has added electrolytes. That's funny, I literally bought some drip drop this weekend because my cousin told me it was awesome for after the gym. I haven't tried it yet though. Your pictures are gorgeous. I know this is totally off topic but where did you get your black dining table? =) Also this stuff looks yummy, I've gonna have to try it! Thanks for your comments everybody! I hope you like DripDrop as much as we do.